The United States Food & Drug Administration (“FDA”) is currently considering whether the Innate Potato TM, a new genetically engineered (“GE”) potato, should be green-lighted for US market distribution. This blog will first trace the potato characteristics- bruising and acrylamide concentration- that spurred J.R. Simplot, an Idaho-based potato manufacturer, to develop the genetically altered product. Then, it will overview the Federal regulatory scheme that the Innate Potato TM must navigate before going to market, focusing on the FDA’s regulatory role. Finally, the current progress of the Innate Potato TM through that regulatory scheme will be tracked. US fruit and vegetable consumers are notorious for their emphasis on cosmetic perfection. Grocery stores are replete with shiny, symmetrical, plump, scratch-free, bruise-free produce. Products that fail to meet lofty aesthetic standards are siphoned out of sight before meeting the consumer’s eye. The potato is no exception. While potatoes are not discriminated against by consumers for slight irregularities in size and shape to the extent that many of their fruit and vegetable counterparts are, they are expected to arrive on supermarket shelves bruise-free. System-wide, the NRDC estimates that 40% of all the food produced in the United States goes uneaten, creating an estimated $165 billion of wasted food annually. Wasted food has profound effects both on food producers, whose higher costs translate to higher wholesale sale prices, and consumers, who in turn pay higher prices at the register. A 2002 study was the first to reveal that potatoes form acrylamide when fried, baked, broiled or roasted at temperatures above 250 degrees Fahrenheit. Acrylamide is a known carcinogen in laboratory rats, although research has not been able to definitively extrapolate its effects on humans. Because the recent discovery of the substance in heated starchy foods is recent, the effects of acrylamide have not been widely and thoroughly tested on human populations. Faced with these realities, J.R. Simplot innovated. The Innate Potato TM was engineered to solve two problems. First, the GE vegetable is bruise-resistant, eliminating food waste and saving both producers and consumers money. J.R. Simplot estimates that $87 million and 400 million pounds worth of waste could be eliminated through planting its bruise-resistant potatoes, translating into over $1 billion in annual savings to American consumers. Secondly, the Innate Potato TM was engineered to produce up to 70% less acrylamide, reducing the fried potatoes potentially carcinogenic effects. The US regulation of agricultural biotechnology is overseen by three Federal agencies- the Environmental Protection Agency, responsible for regulating biopesticides and assessing environmental impact; the Department of Agriculture, responsible for assessing risks that GE organisms pose to other plants species, and the FDA, which evaluates the health effects of GE’s on human and animal populations. The FDA regulates GE foods pursuant to their delegated authority under the Federal Food, Drug & Cosmetic Act. The FDA requires that GE’s adhere “to the same safety requirements . . . that apply to food and food ingredients derived from traditionally bred plants”. However, GE’s are not subject to any heightened standard of review beyond the standard applies to non-GE foods. Despite the genetically modified nature of GE’s, current FDA regulations do not require that FDA scientists undertake an independent, comprehensive safety assessment of the modified foods. Instead, the FDA regulators rely on safety assessments wholly produced by the companies that develop the GEs, the very companies that have invested massive amounts of money into the development of GEs and who seek lucrative financial gains from an FDA stamp of approval. In sum, this barebones regulatory scheme does not actually require any government testing of newly created GE foods to determine whether humans can safety consumer them. So where does this leave us with the Innate Potato TM? On November 7, 2014 the USDA approved the Innate Potato TM for commercial planting. As of this writing, the potato has been submitted to the FDA and is awaiting regulatory approval. Proponents of the Innate Potato TM include the Center for Science in the Public Interest, a consumer group concerned with nutrition issues, and the National Potato Council. The Center for Food Safety (CFS) has publically advocated against the Innate Potato TM, citing concerns than “we simply don’t know enough about RNA interference technology to determine whether GE crops developed with it are safe for people and the environment”. In particular, the watchdog group is concerned that the asparagine gene that is modified might reduce the potato’s ability to fight pathogens, potentially causing “increased fungicide use, greater farming expense, and possibly reduced productivity”. According to CFS chief scientist Doug Gurian-Sherman, “[w]e need answers to these questions before potatoes are commercialized”. The Innate Potato TM is an interesting GE because it touts not only economic benefits to developers, manufacturers and farmers, but potentially huge health benefits to the consumer. In 2009, McDonalds alone purchases 3.4 billion pounds of potatoes to produce French Fries and hash browns, potentially releasing astronomical quantities of a fried, carcinogenic goodness. Based on the weak regulatory framework and success of GE producers to mold regulating agencies to their will, expect to see the Innate Potato TM receive FDA approval in the coming months and ultimately, in the US marketplace. 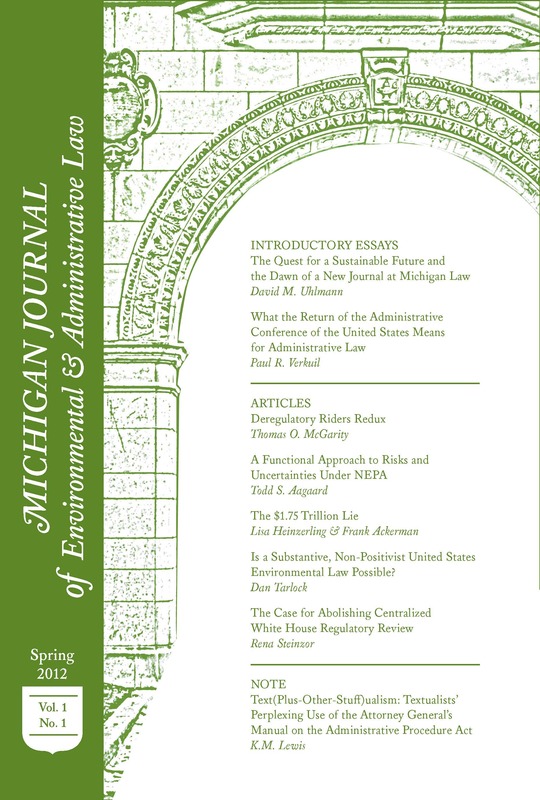 See http://www.fda.gov/ForConsumers/ConsumerUpdates/ucm352067.htm; http://www.americanbar.org/content/newsletter/publications/aba_health_esource_home/aba_health_law_esource_1302_bashshur.html; see also http://www.soilassociation.org/motherearth/viewarticle/articleid/4752/the-pr%2012/2012. Andrew Pollack, U.S.D.A. Approves Modifies Potato. Next Up: French Fry Fans. http://www.nytimes.com/2014/11/08/business/genetically-modified-potato-from-simplot-approved-by-usda.html?_r=0. As of November 2014, there is no indication that McDonalds would purchase GE potatoes, even if they proceded to market. See http://www.idahostatesman.com/2014/11/15/3487642/mcdonalds-rejects-simplots-gmo.html.